After my son’s adoption in 2008, a neighbor asked me, “Are you concerned that you didn’t connect with him since you did not carry him?” I was only briefly stunned by her question. I knew that I needed to think quick and give her an answer. After all, she asked me in front of a group of neighbors during our block party and I did not want to be standing in the middle of an awkward moment of silence. I replied, “No, not at all. Loving him is very natural…as if I gave birth to him.” All she responded with was “Oh”. When I told my husband about the conversation, he said, “She didn’t carry or birth her husband. Does that mean she is not bonded or connected to him?” (Good point honey, good point) He has always had a great way of simplifying things. Her question has stuck in my mind through the years. I really cannot blame her for her lack of knowledge about adoption. After all, she had only given birth to children. 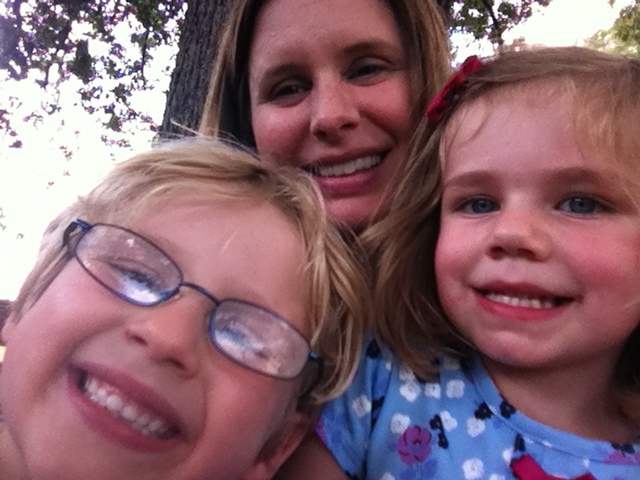 She had never experienced the incredible richness of becoming a mom through adoption. I am still not sure what she meant by the word connect. Perhaps she meant to say “Are you worried that you have not bonded with him because you did not give birth to him?”. Looking back on our short conversation, I wished I would have said to her the things that have been revealed since becoming a mother through adoption. I have realized that my expecting was not in months, but years. My labor was not in hours, but years as well. I did not carry my children in my body. I carried them in my imagination, my prayers, my hopes, and my dreams. I carried them in that quiet space where it is just myself and the Lord. Foster and adoptive families usually get asked all kinds of random and often insensitive questions. When we were going through the licensing process to become foster parents, someone said to me, “You are not going to take one of those meth babies, are you?” Was that a question or a directive? I was not quite sure. The truth is that many newborns who come into protective services in the state I live in have been exposed to prenatal drug and/or alcohol usage. To call them “meth babies” though felt very cold and calloused to me. Are your kids “real” siblings? Are you scared that their “real” parents are going to take them back? Are you sure it is okay to tell them that they are adopted? Do you plan on having your “own” child in the future? Do you know their “real” parents? I answered the first two questions with a “no” and a “yes”. No, I am not scared their “real” parents are going to take them back….that would be considered kidnapping. Taking them back is not an option. Adoption is legally binding and permanent. Yes, I am absolutely sure it is okay to tell them they are adopted. It is a travesty for children to not know their history and to be lied to. It damages every ounce of trust and relationship built through the years. It also gives glimpses of the thought that adoption is something that should be kept secret, as if it is shameful. As far as the kids are concerned, they are real siblings. Trust me, if you spend any amount of time in our home, you will notice that they fight like cats and dogs, yet are inseparable. There is nothing fake about their relationship as a brother and a sister. The last two questions can be answered by this fabulous quote I found. Your husband’s response was just awesome. 🙂 This post reminded me of all the questions that I have been asked when I am out with my crew. Without meaning to, people can be really insensistive. They often are just curious and have no idea that what they are asking may actually be hurtful. It also makes me consider some of the things I have said. Thanks for another precious glimpse of your heart. Thought provoking as always :). I hope I didn’t sound harsh or anything about the questions people ask. I believe that most people are genuinely curious and do not have ill-feelings when asking. Thanks so much reading and for the encouragement! You did not sound harsh at all. Your insight is priceless! I once was asked by a Kroger employee if my husband and I owned a tv while I was checking out with all our kids. Perhaps it was the fact I have been asked that many times never knowing how to respond, perhaps it was just my mood that day… but I had reached a point where I had just had it with people feeling like my intimate life with my husband is up for discussion simply because I clearly have a lot of young children. So remembering an old comment a friend had once mentioned to me, I stepped completely out of character, determined to make her feel as equally akward as I did. I replied, “We sure do! What do you think we put on when we want to make another one?” Needless to say she was speechless and attempted a chuckle, genuinely having no idea how to respond. She had reached the place where every person had put me- completely uncomfortable. I walked out with all my kids feeling like I had won the war of inappropriate comments and completely awkward moments. As I said- completely out of character, and not necessarily something I am proud of, but it does make me laugh when I think about just how badly one simple comment got the best of me. I would have loved to have seen that one! I do not understand why people ask questions like that. I guess that emphasizes even more the fact that we tend to make judgments about situations and people before we even realize we are doing it. It’s crazy, when you don’t follow the status quo exactly as people would like it, you then turn into a spokesperson who has to answer ridiculous questions. You can’t even get angry or express that you are upset. I like to first politely point out how ridiculous the question is, then explain the answer. PB and I were thinking about adoption. In Canada the birth parent has 6 months to decide whether or not they would like the child back. I would be devastated if I lost a baby, but I can understand why this rule is in place. I’m sure this is just for smaller babies, and older children would be past the 6 month rule. A lot to look into. There are lots of things to look into and sometimes I forget that most people are just not knowledgeable about adoption. I think I take the fact that I have learned a lot for granted since I have worked in child welfare so long. There is a 6 month waiting period before a family can adopt here in Missouri, but usually termination of parental rights has occurred. For our children though, they were taken into protective custody and when the parents were not able to provide safety for them and/or agreed to sign their rights, we were given the green light legally to file for adoption. The cases you hear about when birth parents try to get their kids back are usually ones that are private/voluntary adoption plans where one or both parents may or may not have been explained their legal rights, etc. There is a great deal to learn about adoption that is for sure! I’m so glad you are blogging about this! If I remember correctly, my mom took all these questions in stride. We waited about four years for my sister and her adoption was a huge deal for our family. We are of Swiss German descent and she was born in India so came to us with lustrous black curls. It was very easy to tell that my red haired momma and her black curled daughter looked nothing alike! So, anytime someone had some question, my mom was oh-so-excited to share about adoption with them. And then we sat around and laughed at home that someone said my sister must look like her father! Her adoption was never hidden, but celebrated. I don’t think I would take these comments as well as my mom – I’m sure some would hit me on a bad day and I would frown and tell them I AM HER REAL MOTHER!!! !